Beautiful, live soft corals can be easy to take care in reef aquariums. The right soft coral species are a good choice for any reef keeper and are ideal for beginners to start with. These are hardy varieties that typically adapt well to aquarium life and don't require intense light; most do best with low to moderate lighting and water movement or similar reef tank conditions. And since many corals derive a substantial portion of their nutrition through absorption of nutrients from the water, they actually thrive in less-than-perfect water conditions. 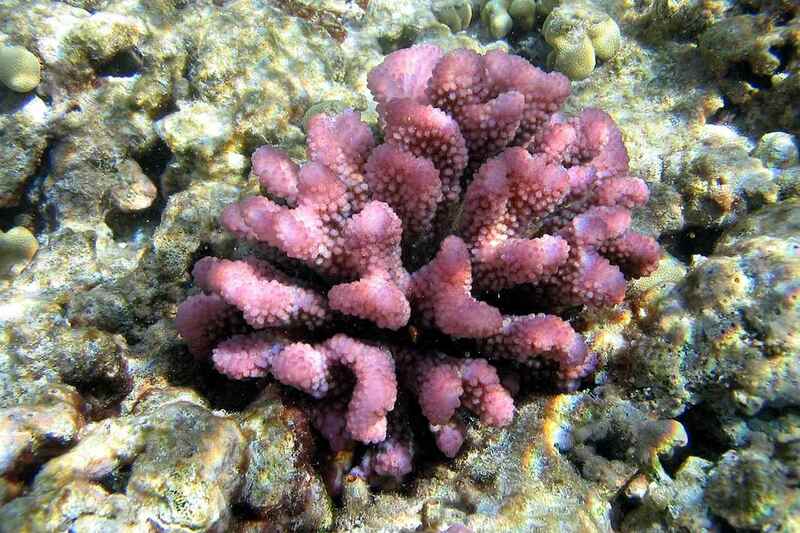 Cladiella are hardy corals that adapt well to aquarium life. They thrive in moderate lighting and water movement conditions. Because they grow and reproduce so well, they may overgrow other sessile (stationary) reef animals in the aquarium. Most varieties of discosoma require little light and may, in fact, do poorly under bright lights. These corals obtain much of their energy from active feeding, including trapping and consuming small fish. In an aquarium, they will also consume uneaten food and detritus that is deposited on them by water currents or sand sifting fish. Pachyclavularia are sensitive to iodine additions (in the form of Lugol's solution) and aluminum oxide (found in many phosphate-removing sponges). These corals are tolerant of both low-level and bright lighting and are capable of reproducing and spreading quite rapidly in an aquarium. Palythoa do well in areas of rapid water movement. These corals are light-tolerant but will grow quite rapidly under bright lighting. Their placement in an aquarium should be considered carefully, as they will overgrow most other corals. Caution: Always handle these corals carefully, and wear gloves to protect your skin. They produce a potent toxin called palytoxin. Protopalythoa corals are tolerant of many lighting conditions but prefer bright light, which may produce fluorescent highlights. Some of these corals are active feeders, feeding on large food items, rapidly engulfing and consuming them. Sarcophyton are hardy corals that prefer low to moderate current, which helps to keep its surface free of parasites and other predators. They adapt well to many lighting levels and feed by taking nutrients directly into their cells from the sea water. These corals do well in a reef tank with less-than-perfect water conditions and may well suffer in water that has had a majority of the dissolved organic compounds (DOCs) removed through skimming. Zoanthus corals greatly prefer bright light, as they depend on their zooxanthellae for nutrition. They also feed on bacteria, algae, and DOCs. Alcyonium are hardy corals that do well in aquariums but should be provided with bright lighting and good water movement. These corals contain zooxanthellate but do need to be fed. They may require phytoplankton for best growth, while consumption of zooplankton is reported to be rare. These coral may overgrow other sessile animals.